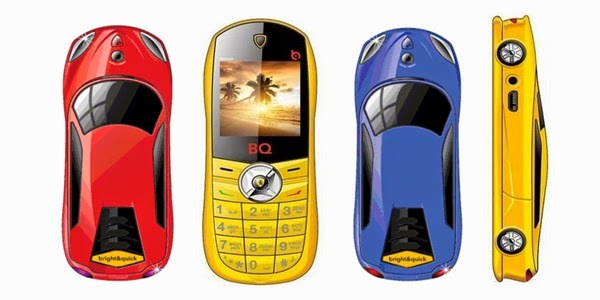 BQ Chinese Mobile Company released a new mobile phone with a shape that resembles a miniature sports car named a BQ Monza. Mobile phones without a touch screen with a weight of 87 grams, using ordinary technology. 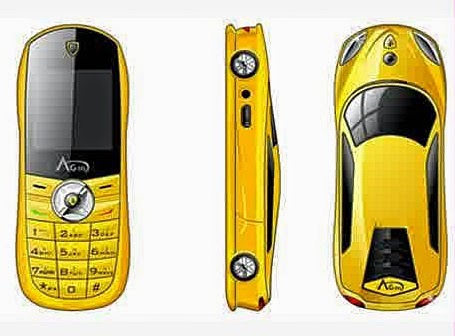 But in terms of design, this phone is designed to resemble a car with a little touch of Ferrari and Lamborghini. The name of Monza is taken from the Monza circuit in Italy. Maybe for the user of gadgets (smartphone) this phone is not too special, but for automotive lovers, the phone can be used as private collections, it’s a lifestyle. BQ Monza is made of metal material with blue, white, red and yellow (color of choice) finish, and will be marketed in Russia. BB Monza very similar with the design Bar Car Key Mobile Phone Dual SIM card (GSM Mini Car Cell Phone F8) is also made in china. "Article : Phones like the sports car model by BQ"